How to watch Blu-ray movies on Galaxy Note 9? 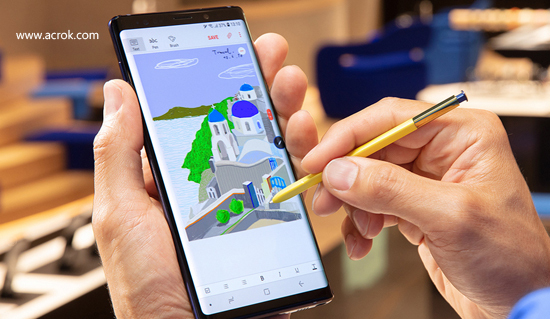 Galaxy Note 9 is the latest Android smartphone from Samsung, many users have waited this big screen smartphone for long time, but now more and more users have purchased the Galaxy Note 9 to replace their old smartphones. As Galaxy Note 9 has a big screen, it is great for you to transfer some movies from computer to Galaxy Note 9 for watching. Do you want to watch Blu-ray movies on Galaxy Note 9 freely? In this article we will share the best Blu-ray to Galaxy Note 9 converter for you, which will help you to rip purchased Blu-ray movies to unprotected video formats like MP4, MKV, MOV, etc. and then you can play Blu-ray on Galaxy Note 9 freely. The Galaxy Note 9 is a powerful Android smartphone, it features the 6.4 inches screen, 4000mAh battery, the resolution is 1440 x 2960 pixels, which is higher than most other smartphones. It has 6GB RAM and 64/128/256 GB internal memory, the microSD is also supported, you can use up to 512GB microSD to store as many multimedia files as you want, for example, you can transfer some high quality movies to Galaxy Note 9 for watching, the video effect will be very nice. The questions showed above are asked by Galaxy Note 9 users, they want to use Blu-ray ripper software to rip Blu-ray to common video formats and then watch Blu-ray movies on Galaxy Note 9. But most users don’t know the detail steps to use the Blu-ray to Galaxy Note 9 converter, and then want the detail instructions to convert Blu-ray movies to Galaxy Note 9 for watching. If you also want to play Blu-ray on Galaxy Note 9, just follow the content below. If you have purchased some Blu-ray discs you may know that the Blu-ray discs we purchased are all copy protected, under the copy protection you will not be able to copy movies from Blu-ray discs and then paste to other devices for watching. To get rid of Blu-ray copy protection you will need to use Blu-ray ripper software to rip Blu-ray to unprotected video formats, such as rip Blu-ray to MKV, rip Blu-ray to MP4, or rip Blu-ray to MOV, etc. to help you convert Blu-ray to Galaxy Note 9, we would like to recommend the best Blu-ray ripper software for you, the program is called Acrok Video Converter Ultimate, it is able to rip purchased Blu-ray discs and DVD disc to unprotected videos for watching freely, you can play the converted Blu-ray movies on any devices without any limitations. - Supports all kinds of Android, Windows, IOS smartphones/tablets. 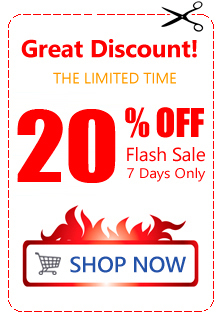 - Fast conversion speed up to 300%. 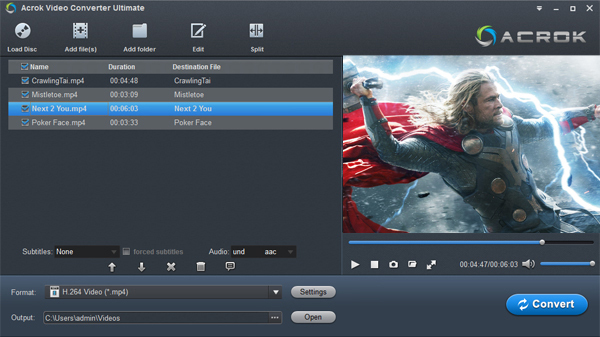 - Custom Blu-ray ripping: clip a funny scene by setting 'start time' and 'end time'. - The Blu-ray to Galaxy S8 converter is easy to handle. - You can set language (audio track) and subtitle before converting. - Adjust resolution (video size), encoders and decoders, frame rate, bit rate etc. - Galaxy S8 video editing: cut, join, add watermark, apply special effects and more. Here the detailed way to convert Blu-ray movies on Windows 10 is showed. 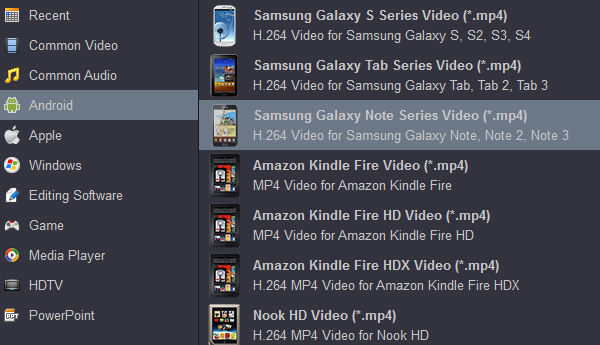 The way to rip Blu-ray files for Samsung Galaxy Note 9 in Mac is the same. Just make sure you've downloaded the right version. Download Acrok Video Converter Ultimate Windows version or Mac version, install this program on your computer, both Windows version and Mac version can help you to convert Blu-ray to Galaxy Note 9 supported video formats. Launch Blu-ray to Galaxy Note 9 converter, click “Load Disc” button to import Blu-ray disc that you want to convert, besides Blu-ray disc, you can also load Blu-ray ISO, Blu-ray folder, DVD disc, DVD ISO or DVD folder. All the latest Blu-ray and DVD movies are supported to import and convert. Choose Galaxy Note 9 supported video format for output. Click format bar and choose the output format you want, you can choose “Common Video -> H.264 MP4 Video (*.mp4)”, this format is well supported by Galaxy Note 9 and many other devices. If you want to output other formats, you can choose MKV, MOV, AVI, MPG or other formats according to your need. Click convert button to start Blu-ray to Galaxy Note 9 conversion process. Acrok Video Converter Ultimate will convert Blu-ray to Galaxy Note 9 with fast speed, the best Blu-ray ripper software has adapted the NVIDIA CUDA and AMD APP acceleration technology, much time will be saved, when the conversion is finished, you can transfer converted Blu-ray movies to Galaxy Note 9 for watching. Tip: How to put iTunes M4V movie to Galaxy Note 9? Numbers of people have similar question about transferring contents between iTunes and Galaxy Note 9. M4VGO (For Mac & For Windows) – best DRM M4V to Galaxy Note 9 Video Converter. With this powerful DRM remove tool, you can easily import and remove the DRM from iTunes M4V movies and convert them to all kinds of common video formats like MP4, AVI, MOV, WMV and etc. And then you can sync iTunes M4V to Galaxy Note 9 for enjoying easily. I'm ecstatic! This worked the first time I tried it. I thought I'd give it a go so we could watch Blu-ray movies from my Android device while we're anchored up each nite. I never thought this old dog could figure it out but a huge tip of the cap to Acrok and this program.